Brown: What’s with the hoops? Complainant: I’m trying to make a worker’s comp claim. Moore: We can do that for you. Complainant: They said if I jump through this hoop I’ll be all set. Moore: So how’s that going for you? Complainant: I might make it through the first hoop. But now they’ve added more. Brown: We’re attorney’s Brown and Moore. You know, the good guys. 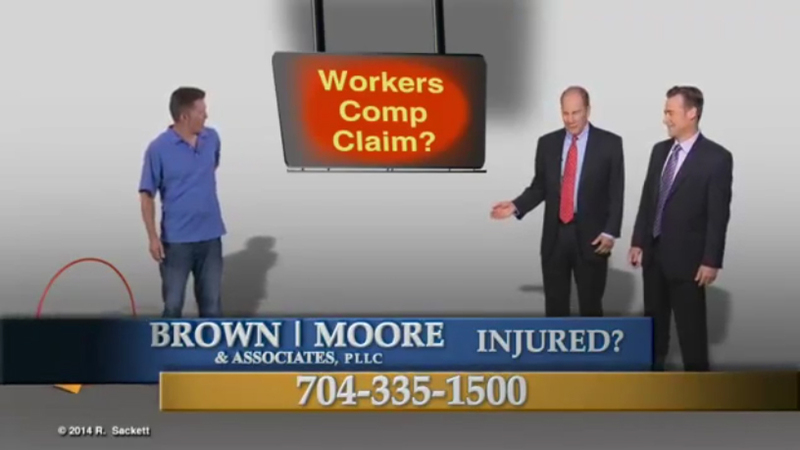 Moore: We have a lot of experience in workers comp claims. Complainant: Uh, Can you get my check moving? Brown: We’re lawyers we don’t make you jump through hoops. Complainant: Oops, more hoops. I should’ve called the good guys from the start.